Zombies, Run! 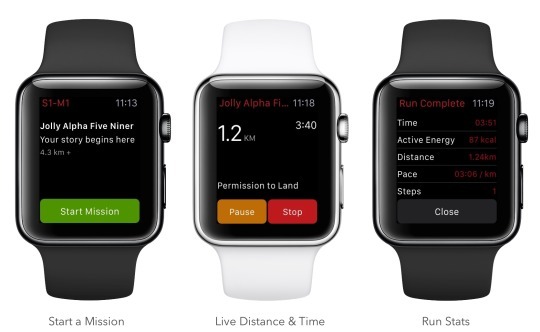 on Apple Watch – Zombies, Run! You’re out in the field, searching for a buried supply cache. With zombies on your tail, there’s no time to check your phone for your distance – but no fear, because now you can use your Apple Watch! 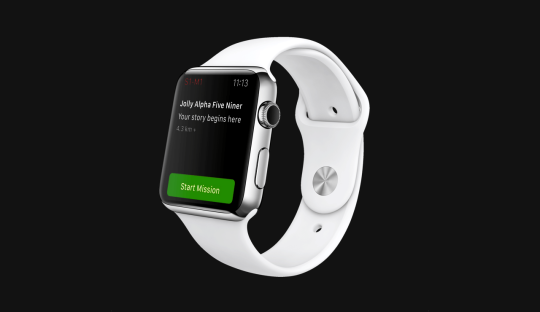 From today, you can start, pause, and complete a mission, right from your Watch! While you’re running, you can see your run distance and time, and you can even view and skip your countdown before you start. The Watch app will be automatically installed to your paired watch; if not, you can manually install it from the Watch app on your phone. For best performance, we recommend going to Settings > General > Wake Screen and selecting ‘Resume to Previous Activity’ on your Watch. if you’ve ever had to fumble around with phone armbands before running, or wanted to pause your mission on the move, our new Watch support is going to make Zombies, Run! better than ever. We’re really keen to hear what you think, and we have ideas for features we’d like to add in future updates, as well. Supplies and Artefacts are now synced to your ZombieLink account. That means you can take your Codex with you if you switch devices, just like you already can with your run logs and base. No more back-to-back zombie chases!